The story of my daughter Harper is that everybody's life, even if they have special needs, has a purpose. My daughter Harper Elle Howard was born on April 12, 2010, with a very rare, non-hereditary, life-threatening genetic disorder called CDKL5 epilepsy -- at just two weeks old, she started experiencing seizures that were so severe, my husband Dustin and I (and Harper's big sister Lily) were very frightened. We were just a couple from Carrollton, Texas, and were totally unprepared for what lay ahead. But Harper's journey held more in store both for others and for our family than we ever could have imagined. At 19 months old, Harper had a huge surge of seizures that seemed to just steal everything from her, and that's when she became almost like a vegetable. At worst she was having 40-plus seizures a day. "Traditional" pharmaceutical meds were totally ineffective at controlling Harper's seizures and, even worse, sometimes left her catatonic. As hard as it is to say, I used to lay in bed with her every night and cry and every morning in the shower pray that if God didn't heal Harper he'd just show her mercy and take her home to be at peace. Looking back, I should have known then that Harper's life had some kind of greater purpose ... but things like that are often impossible to see when you're living them in the moment, day by day. 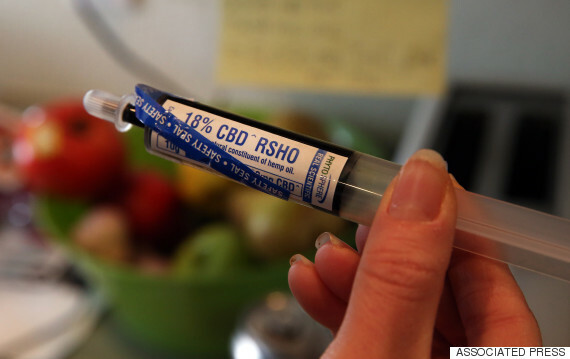 In 2013, after watching Dr. Sanjay Gupta's CNN special "Weed" and endless hours of research online, we found a CBD oil from hemp called RSHO - and really, that's the only thing that not only brought us hope, but stopped Harper's seizures ... completely. I'll never forget giving the CBD oil to Harper and seeing the immediate impact it had on her quality of life. Within the first three days we had eye contact and verbalization sounds from her, an attempt to interact with us physically and she was now able to show us that she was with us mentally. It wasn't long before she went a day without a seizure! And then another day without a seizure! Before we knew it she was at 45, 50 then 60 days without a seizure. Harper even came out of her stupor, her shell, and interacted with the family, we got her little personality back. She got to meet her baby brother Seth after he was born late in 2014. How was this even possible? After three years of living in hell there was finally light! Harper does not simply exist here on Earth but rather she lives! Without knowing just how far it might reach, I launched "Hope 4 Harper," aFacebook and blog where I set out to document Harper's struggle with CDKL5 and how RSHO hemp oil stopped her seizures and helped give some of her life back. How could I ever know that Katiele Fischer, a mother of another CDKL5 daughterAnny Fischer in Brazil, would find Harper's blog from thousands of miles away as she desperately searched for her own answers? From half a world away, Katiele found Harper's blog and had RSHO shipped to her illegally from relatives in the U.S. to Brazil. She documented everything with a doctor and lawyer. 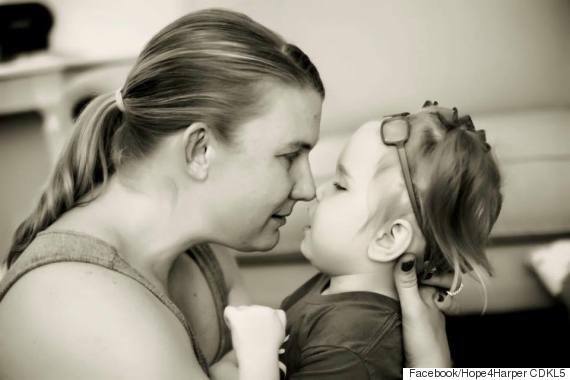 Just like Harper's, Anny's seizures started to disappear. When the worst happened and Katiele was caught importing the CBD oil illegally, Katiele did something that inspired even our family. In April 2014, Katiele stormed up the steps of ANVISA, Brazil's FDA, and sued the federal government of Brazil for her right to access RSHO to save little Anny. A screenshot from the documentary "Illegal," which depicts the Fischer family's struggle to secure CBD oil treatment for their daughter. In just three days, ANVISA ruled that it would be "inhumane," to keep CBD oil from Anny, setting a legal precedent that would end up changing the world. Dozens of families across Brazil sued the government after Katiele's ruling, revolutionizing cannabis laws in the ninth-largest economy in the world forever. As things stand today, Brazil is not only allowing CBD hemp oil to be imported into Brazil as a medication with a doctor's prescription, the Brazilian government is subsidizing the payments under their healthcare system. And now, Brazil is allowing CBD from hemp to be imported for more than epilepsy, but also for several other medical indications, including Parkinson's disease and chronic pain. What makes me angry that the FDA (our US government) has hesitated to act as quickly for the health interests of our people, freeing them from pain and suffering, in a country known for supposed freedom! After what happened in Brazil, I now read that Colombia, Chile, and now even Mexico have legalized CBD oil as well. My heart is full! My Harper, unknowingly to us, helped change the world. Despite all of her struggles and all of her suffering, I like to think that Harper was an angel, and that helping save all of these poor suffering people in Central and South America will be a part of her legacy forever. On Friday, January 8, 2016, our family tragically lost our little angel Harper. As a mom, I really can't write into words what it's like to lose your daughter, it's a hole inside of you, and really nothing ever fills that, nothing will ever make that better - or make it go away. For five short years that felt forever long we walked this fine line of hope and hopelessness while Harper fought each day simply to survive so she could do her job here on Earth and change the world. However, on behalf of the Fischers' bravery, and for suffering families in Brazil, and all of the thousands of Anny Fischers out there around the world, I want the world to know about Harper's story. Our family also decided to donate Harper's body to science to help find a cure for CDKL5 epilepsy, and reach out to seek funding for research. Harper is actually the first-ever brain "banked" to find a cure, making her another first. In the end, I am honored that she chose me to be her partner in helping her accomplish more in five years than most people do in a lifetime without ever having to utter a single word herself. Please help me urge our U.S. government to take similar steps as the government of Brazil did for the health and wellness of their people. Write your senator or congressman a letter, and urge them to support ending the schedule-1 for THC and to support new research! Or, if you're not a writer, please donate to help CDKL5 research. Harper is watching all of us, and she would want the world to know. Penny Howard is a resident of Dallas, TX, proud wife and mother to three beautiful children: Lilly, 8, Harper, 5, (who just left us), and Seth, who is 1. Penny homeschools her children and is a passionate, lifelong advocate for the power of CBD from hemp, after seeing firsthand CBD oil stopping her daughter's seizures and giving her life. For anyone who would like to donate to help fight CDKL5, please visit www.Hope4Harper.com.